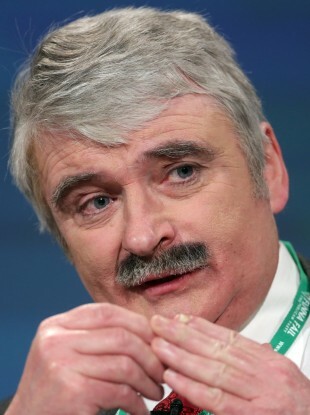 FIANNA FÁIL TD Willie O’Dea has called on his colleagues to air their concerns internally and refrain from publicly voicing displeasure with the the party’s direction. The Limerick city TD was speaking in the wake of Micheál Martin reportedly criticising his deputies during a meeting of the Fianna Fáil parliamentary party yesterday. Martin was said to have described the lack of discipline in the ranks as “pathetic” and “juvenile” during a speech to the party’s TDs and Senators yesterday. He was said to have been referring to former deputy leader Éamon Ó Cuív and longtime critic John McGuinness, both of whom have voiced criticisms of the party’s direction in recent weeks. O’Dea told RTÉ’s News at One that his understanding was that the word ‘pathetic’ was not used to describe the actions of any other TDs and that Martin did not refer specifically to anyone in his remarks. O’Dea described McGuinness and Ó Cuív as “very close personal friends of mine” but said he “fundamentally disagreed” with them on there being a general air of disillusionment within the party. “Thats not my experience,” he said. “Secondly, I don’t degree that certain things should be said in public even if people genuinely feel it. I genuinely don’t think it should be said in public. WATCH: Why is this TD so incredibly upbeat about Fianna Fáil? He said that while nobody “wants a dictatorship” there had to be a balance struck. He described Martin as being more tolerable of opposing viewpoints than any other Fianna Fáil leader he has served under. He insisted there was no leadership contest and that Martin would lead the party into the next general election. The former minister added: “Look, people will continue to voice their views within the party and that’s what we want to achieve. State of the Nation: Could Micheál Martin’s biggest problem actually be his own party? Email “Willie O'Dea thinks Fianna Fáil TDs should stay off the airwaves ”. Feedback on “Willie O'Dea thinks Fianna Fáil TDs should stay off the airwaves ”.